Main Sultan Drums .nki with custom-built interface for layering and combining bespoke combinations of instruments within loops. 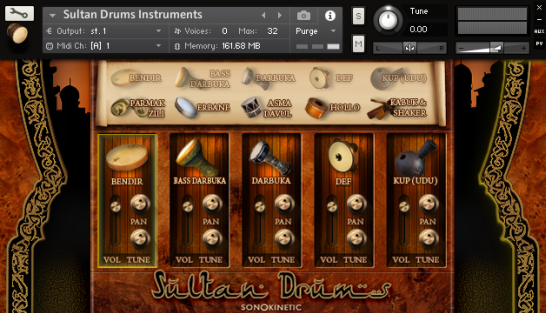 Bonus Sultan Drums Instruments .nki containing individual playable percussion samples with multi-sampled, round-robin hits. Automatic end hit function with multi-sampled, round-robin hits.